Part of what's stressing you out right now is not having all your thoughts sorted out. There's a lot of confusion and chaos going on, and you need to get a handle on it all. And there's no better way to do that than to start writing. At first your journal make not make sense to you, but that's okay. Just writing things down will help you. Over time, you'll find that it's great to have an outlet to think, vent, and dream without judgment. Just make sure to put a lock on that journal! So if you feel you want to de-stress try this quick blogthings quiz and find out for yourself. After two weeks of continuous raining I noticed that our gutters are not functioning well because of some leaks. 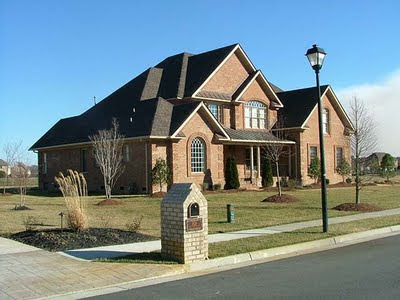 Gutter system is very important as it controls the water from the roof down to drainage. It should make the water come down as quickly as possible so it will not overflow. Since the rainy season is not yet finished I’ll have it checked and repaired immediately. Well our gutters are old enough to retire so I might as well look for replacement in case our maintenance man declared it not fit for repair. I’ve seen some gutter system like ours and many seems to fail in filtering debris which results in clogging up. Oh well if I will replace my Gutter Guard I’ll choose a one-piece system like that of LeafGuard gutter system as it has no movable parts that will loosen up, solid seamless hood and can handle over 21 inches of rainwater’s per hour. Wow! I liked that performance and strength for our gutter system. 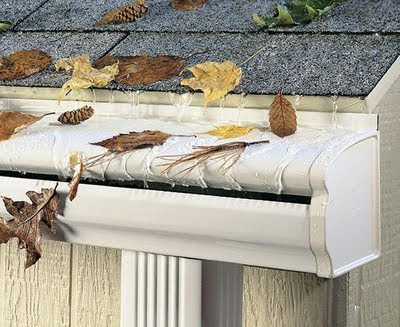 And because it’s a one-piece system it prevents dry leaves and debris from entering the gutter from behind. I’ve browsed some of their installations like Gutters Virginia Beach and was impressed that their gutter guard is not only strong and performs well but looks great also. Gutters come in various choices of colors and it’s sure to give beauty on every installed home. And with this kind of gutters you need not worry about water damage on your house or hiring someone to clean it every now and then. This gutter will run clog free always. My my! Monday sickness is hitting me again; I’m so lazy and nappy today. All I can afford to do right now is to visit my fave blogs and to drop ec. Sometimes it’s good this way as I get to see and read interesting blogs and posts. I even added some to my entrecard existing lists. This is good for my traffic but not for my online tasks as I have few critical tasks today. Critical because it’s big lol! If I’ll stay this way the whole day I’ll be wasting some nice opportunities so I’d better be changing my moods. How about you are you having some Monday sickness?